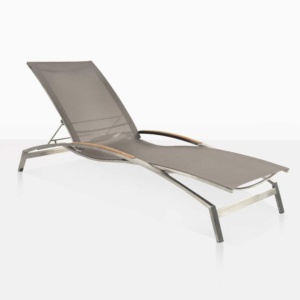 Dreamy, resplendent and charismatic; the Hampton Lounger is the ultimate addition to your poolside or patio. 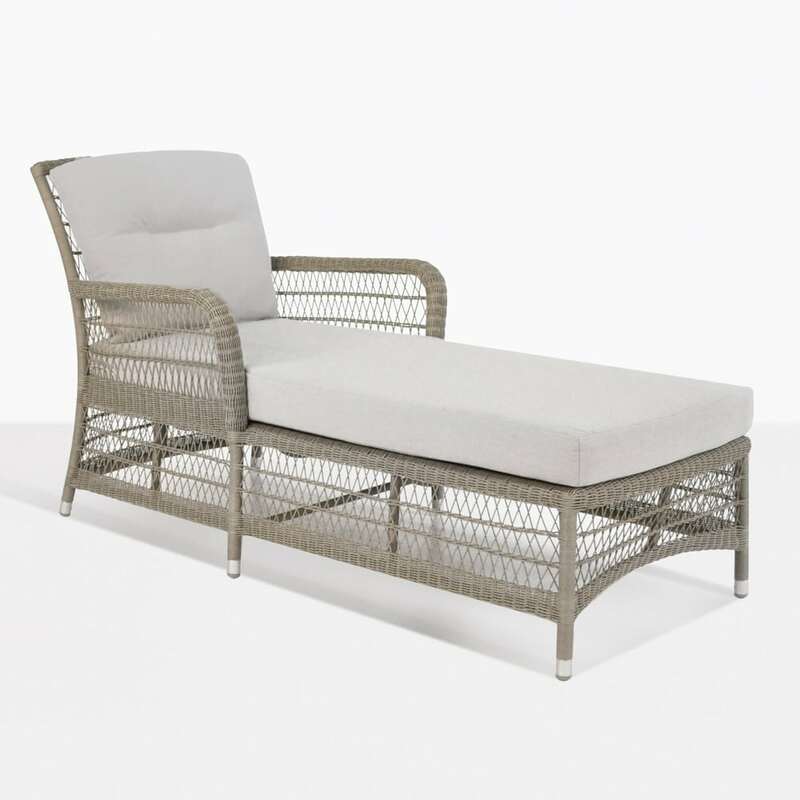 Whether you’re after a little escapism or wanting to get a few for communal relaxation; the Hampton Lounger is a beautiful and comfortable piece of furniture, part of the newest collections at Design Warehouse. A very sophisticated design with a bit of whimsy thrown in for good measure, this piece would be at home in any traditional setting. It’s also slim and contemporary enough to work in most contemporary spaces as well. The gorgeous woven design complements so many design ideologies and the comfort of this piece is matched only by the ease of ownership. 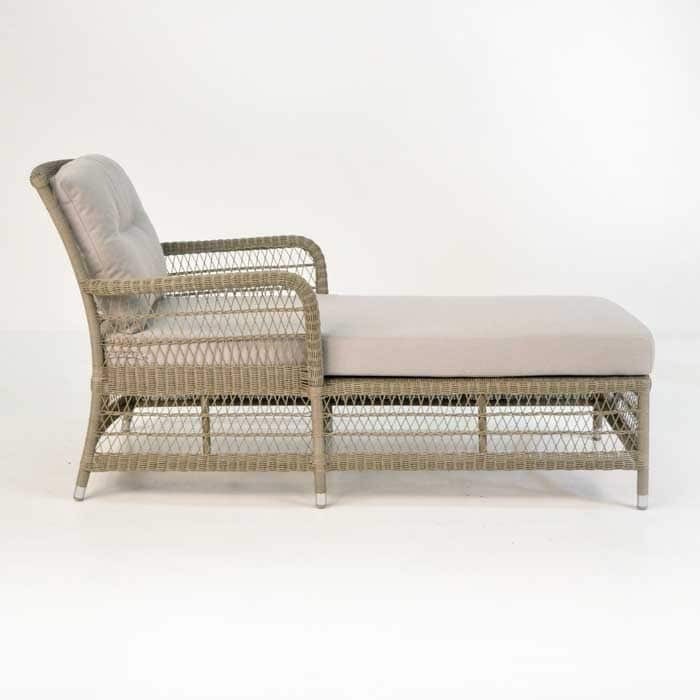 Lightweight and durable, this synthetic outdoor wicker sun lounger is a chaise style piece that requires minimal maintenance and will last for many years, offering a comfortable respite on sunny afternoons nursing a bold drink, or chilly evenings, curled up with a blanket and book. Cushion is included as shown. The Hampton Collection is elegant and regal; inspired by seaside resorts in Europe and Hollywood glamour and made modern by a combination of superb pastel colours and top market materials. 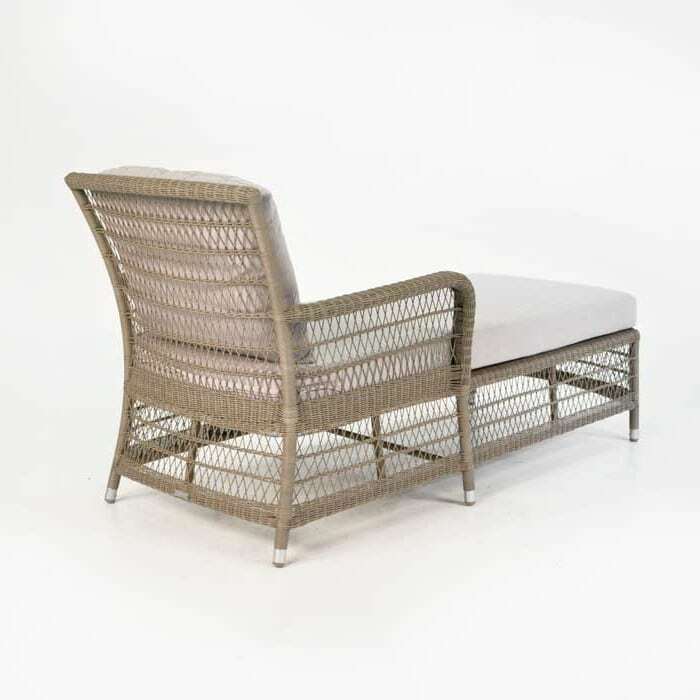 The wicker is looped into an intricate, seemingly delicate diamond pattern, and made from ultra strong award winning Viro® wicker, a non-toxic, UV treated and environmentally friendly product that ensures easy maintenance and a long lifespan. 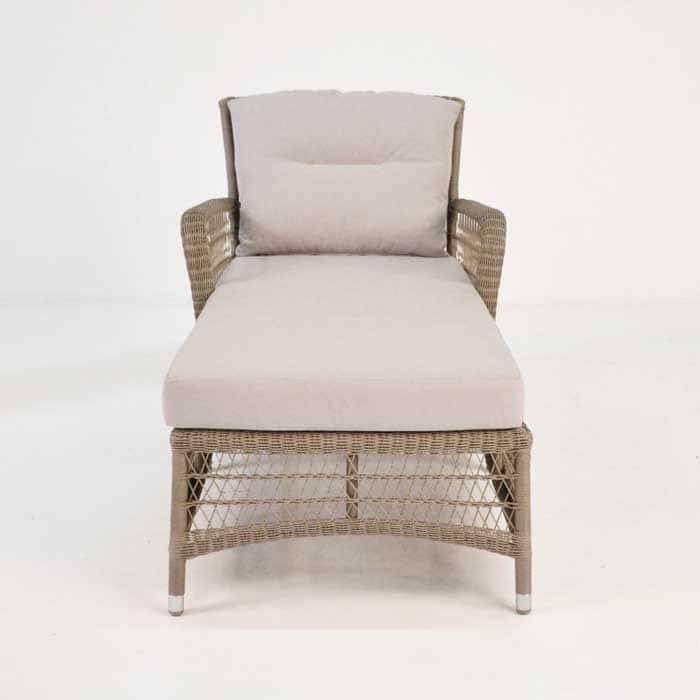 The beauty of this wicker is complemented by plush Sunbrella® cushions filled with Quick Dry foam creating a whimsical and romantic look making the Hampton Collection our most elegant wicker set yet. Find your most restful spot outside and place several Hampton Loungers side by side, so you and your loved ones can enjoy tranquility and splendour together! 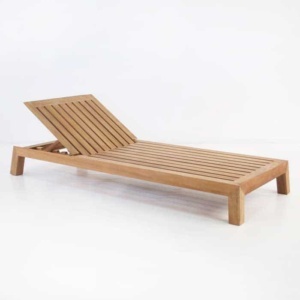 The Hampton Lounger also looks great as part of a bigger set. Pair up a couple with two Hampton Sofas for a dreamy, easy lounging area! Comes with FREE Sunbrella® cushions.